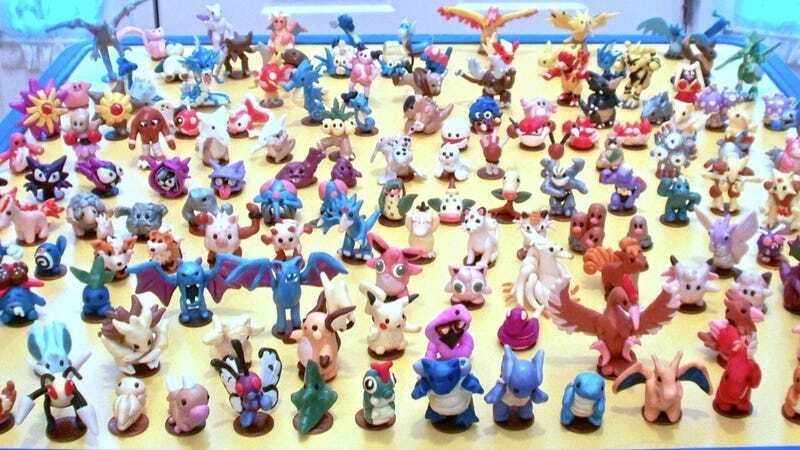 This summer, talented internet person Ninjazzy made the original 151 Pokémon in clay. That's impressive! It's even more impressive after you realize Ninjazzy not only did that, but made them small enough to stand on a penny. No wonder these are called Pénnymon. The level of craftsmanship and detail on display here is heroic. Have a look at the coin-sized Pocket Monsters in the gallery above. If you watch to catch 'em all, check the links below. Click on the lower corner of each image to expand to full size.